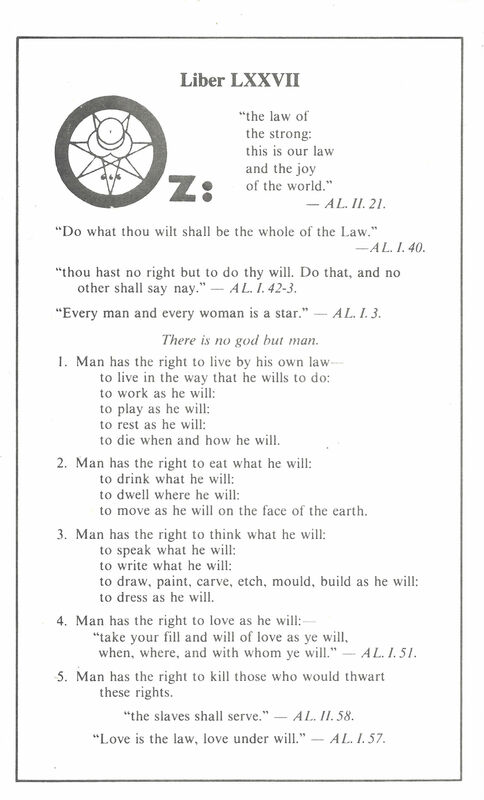 OZ Card printed by Pyramid Lodge of the O.T.O. circa 1983. Printed in black ink on white cardstock and measuring 7” X 4 ¼“.